I’ve just finished reading Marina Fiorato’s new novel, The Madonna of the Almonds, which will be out on 14 May. It is a love story above all, but there is so much more as well. It’s set in Italy in the 16th century, about a young widow, Simonetta di Saronno, struggling to save her home, who meets the artist Bernadino, a protege of Leonardo da Vinci. I was fascinated most of all by the artist Bernardino Luini who is employed to paint frescos in the church of Santa Maria dei Miracoli in Saronno, just at the time when Simonetta is trying to cope with the death of her husband at the Battle of Pavia. Little is known of Bernardino’s life. He was born around 1480/82 and died in 1532 and I enjoyed how Marina wove descriptions of his paintings into her story. Now I want to go to Saronna to see the actual paintings and to the Monastery of San Maurizio in Milan where his frescos adorn the church walls. Bernardino was so captivated by Simonetta’s beauty that her face is the face of every female Saint, every Magdalene and every Madonna that he painted. Simonetta at first resists Bernardino’s advances but of course eventually falls in love with him, causing scandal in the local community. Bernardino has to leave Saronna for Milan, leaving Simonetta to fend for herself. With the help of a Jew, known as Manodorata (because of the golden hand replacing his own hand that had been chopped off by the Spanish Inquisition) she discovers how to make a delicious liqueur, Amaretto, from the almond trees, the only crop growing on her estate. The persecution of the Jews forms a chilling strand in this book as Manodorato flees from his burning house with his two young sons, unable to rescue his wife from the flames. I love the story-telling aspects of this book, its rich descriptions of art and the detailed history of the period. I love Italy, history, art history and almonds, especially Amaretto, so this book just could not fail to delight me. I’ve previously written about what I was reading ten years ago so when I read Literary Feline’s post about the books she read in January 2004. I thought I’d have a look at what I was reading five years ago. It was in that month that I once again tried to keep track of my reading – I hadn’t recorded my reading since February 2003! Even then it seemed to be a bit of a hit and miss affair. I just jotted down a few details about each book. Unlike the next book I read – Middlemarch by George Eliot, which I thought was “very good, very long and in places too wordy, but excellent in character description, analysis and plot development. I’d seen it on TV but long enough ago to forget what the characters looked like so it was easy to use my own imagination. Lots of different characters and much social background of 19th century England.” I still dislike having TV or film adaptations of books intruding into my own vision of how the characters look. The last book I wrote about in January 2004 was The Solitaire Mystery by Jostein Gaarder (who wrote Sophie’s World, that I’d read earlier). 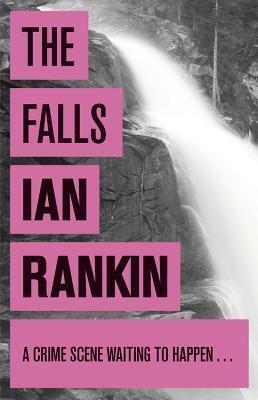 I described this as full of philosophical ideas, a story within a story – fantasy/reality/philosophy – about a boy and his father travelling from Norway to Greece in search of the boy’s mother. A dwarf gives the boy a magnifying glass and a baker gives him a miniature book telling the story of a sailor shipwrecked on a desert island in 1790. There is also a pack of playing cards with lives of their own, including a Joker (his father collects Jokers). These are all things he needs to solve the mystery. Unlike Sophie’s World this doesn’t mention specific philosophers but discusses ideas about destiny, the supernatural, conincidences and the reality of the everday world. I wouldn’t mind re-reading these books, even The Italian Girl! Recently I’ve been going from book to book and not finishing any of them, apart from Pompeii by Richard Harris. If you’ve read my recent posts you’ll maybe understand why I’ve been unable to concentrate on reading, but even if the words have not been making much sense as I read them I find the actual process of picking up a book, turning the pages and reading the words to be therapeutic. Somehow Pompeii made more sense than any of the other books I looked at these last few weeks. For one thing it’s so easy to read and you know the broad outcome right from the start. Vesuvius erupts destroying the town of Pompeii and killing its inhabitants as they tried to flee the pumice, ash and searing heat and flames. Part of the book’s appeal to me was because I visited Pompeii and had a trip up to the summit of Vesuvius some years ago and so I could picture the location. It was not only Pompeii that was affected – the whole area stretching from the town of Herculaneum in the north of the Bay down to Stabiae in the south suffered from the eruption. The summit of Vesuvius, today looks flat from below and climbing to the top reveals the enormous crater as a result of the eruption. The remains of luxurious villas with their frescoes can still be seen and most poignantly some of the inhabitants perserved by the ash that killed them. The story begins just two days before the eruption of Mount Vesuvius and builds up to a climax. Whilst most people are blissfully unaware of what is about to be unleashed upon them one man – the engineer Marius Attilius Primus realises the danger when the aqueduct Aqua Augusta fails to supply water to the people in the nine towns around the Bay of Naples. Attilius realise that the problem lies somewhere to the north of Pompeii, on the slopes of Vesuvius. The tension mounts as he tries to repair the aqueduct and persuade people of the danger, hindered by the disappearance of Exomnius, his predecessor and the disbelief of the town magistrates. The power behind the town officials is the former slave Ampliatus who made his fortune after the last earthquake had devasted Pompeii. Harris gives vivid descriptions of the luxury of the town – its villas and baths – the corruption of its leaders, the poor living conditions of the general population and savage cruelty shown to the slaves. Ampliatus helps Attilius but only under his own terms – to continue the financial arrangement he had with Exomnius. Interspersed with the story are details of the ingenuity and skill of the Romans in engineering, and of the nature volcanoes. I’m not technically minded but I found this more than interesting and added to my enjoyment of the book. I particularly liked mixture of fictional and historical characters and the inclusion of Pliny, then the Admiral of the Fleet, as he watched and recorded the progress of the eruption and the account of his death. But my favourite character is the hero of the book, Attilius – incorruptible, resourceful, stubborn, determined and an expert at his job. All in all I found the book brought history to life and I could feel the danger and fear as Vesuvius inevitably destroyed Pompeii. Pompeii became a town of perfectly shaped hollow citizens – huddled together or lonely, their clothes blown off or lifted over their heads, hopelessly grasping for their favourite possession or clutching nothing – vacuums supspended in mid-air at the level of their roofs. 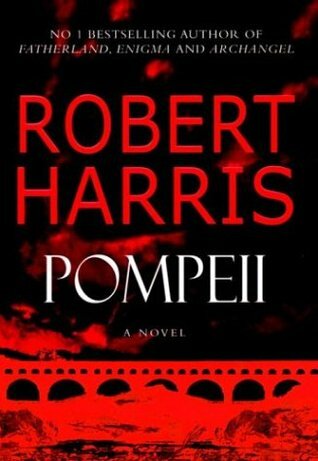 This is the only book I’ve read by Robert Harris, but I would like to read more of his, particularly Imperium, again set in Ancient Rome and following the career of Marcus Cicero. I’d also like to read The Last Days of Pompeii, although I suspect I may not like the melodramatic style of this book by Sir Edward Bulwer-Lytton written in 1834, but it would be an interesting comparison. Jemima Shore, writer and presenter of the television programme “Jemima Shore Investigates” is flat-sitting for her friend Chloe Fontaine, also a writer. The block of flats is a controversial development in a large Georgian square close to the British Library, which is ideal for Jemima as she plans to spend most of her time there researching for her next novel. “The Splash of Red” is the title of an enormous painting of a woman’s figure, slurred with red, a painting by Chloe’s ex-lover Kevin John Athlone. The painting, hanging on the bedroom wall looks as though blood has been splashed on the wall. After Chloe leaves Jemima thinks she’ll take down the painting – she doesn’t need reminders of Kevin John and his violent relationship with Chloe. As Jemima settles down to enjoy her stay, alone in the flat apart from Tiger, Chloe’s long-haired golden cat, her peace is shattered by an anonymous threatening phone call. From that point on the mystery deepens. Chloe has disappeared. Her parents were expecting to see her, but she didn’t arrive. Chloe had told Jemima she was off to the Camargue, to write an article commissioned by Isabelle Mancini, the editor of the magazine, ‘Taffeta’, but it turns out this was a lie. Jemima bothered by yet another threatening phone call is distracted from her own research and returns to the flat to find Chloe in a real splash of red – lying across the bed with her throat cut. I thought I’d worked out who had killed Chloe from the numerous suspects, but I was completely wrong – which was good as it meant that I read with anticipation and was surprised by the actual culprit. Who is Chloe’s mystery lover, ‘the most divine angel in heaven’ and who is the ‘new angel’ in her life with whom she had a surprising casual or carnal encounter? Then there are a number of suspects – Kevin John, her ex-lover; Adam Adamson, a squatter in the building and one of the objectors to Sir Richard Lionnel’s development of the concrete building that had replaced an elegant 18th century house; Sir Richard himself and his wife; Valentine Brightman, Jemima and Chloe’s publisher; and even Isabelle. Jemima of course solves the mystery. This is the first Jemima Shore mystery I’ve read although I remember the TV series back in the 1980s with Patricia Hodge as Jemima. Now I’m going to have to add the other books to my ‘to be read’ list.